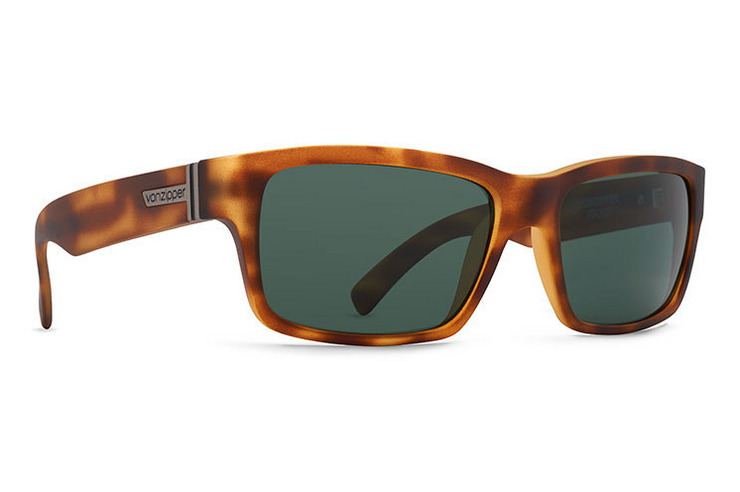 Specs:VonZipper Fulton sunglasses are handmade in Italy; the frame is crafted from nylon grilamid and held together with stainless steel optical hinges. The base 6 spherical impact resistant polycarbonate lenses will protect your eyes with 100% UV protection. I have 8 pairs. Really would keep buying if you could come up with more frame colors. So comfortable and stylish. My son and daughter have their own and still try to steal mine! Great sunglasses. The only problem is I have to hide them all the time because my friend always wants to wear them. He's too cheap to buy his own. Beware! Suckas will steal them. Loved my Fulton very retro modern look that I love. I was so bummed out when they stolen. Ordered another pair. Vonzipper are my go to sunglasses forever. My go-to sunglasses rain or shine - literally. Classic, timeless shape. Solid Italian-made construction with metal hinges. VZ lifetime warranty. I own 3 pair - black gloss/grey, tortoise/amber, and the old MindGlow. I'm a Fulton customer for life. Period.